When there’s a concert or other big event at Wright State University’s Nutter Center, outside Dayton, the Beavercreek Township Fire Department, located less than 10 miles away, can face communications challenges at fire scenes and other emergencies. Those kind of cellular limitations will be a thing of the past with the introduction in Ohio of FirstNet, the nation’s first broadband wireless network dedicated exclusively to first responders such as police, fire and emergency medical services. FirstNet is a broadband wireless network for exclusive use by first responders. 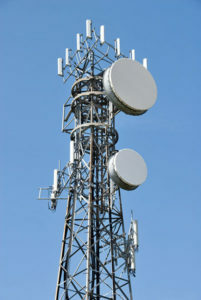 AT&T was selected to manage and operate the network. Commerce, was authorized by Congress in 2012 to develop a nationwide public safety network. Last year, the authority selected AT&T to manage and operate the network. Under terms of a 25-year agreement, FirstNet will provide AT&T with 20 MHz of telecommunications spectrum and success-based payments of $6.5 billion over the next five years to support the network build out. FirstNet’s funding was raised from previous Federal Communications Commission spectrum auctions. AT&T is expected to spend another $40 billion over the life of the contract to build, deploy, operate and maintain the network. Late last year, Ohio became the 33rd state to opt into the network, which since has included all 50 states and five territories. “FirstNet provides dedicated capacity and coverage for public safety users. That’s what we’re looking forward to versus having to compete for capacity and coverage with all other consumers,” says Hiester, who was part of a mock drill involving other state agencies two years ago to refine FirstNet technology. 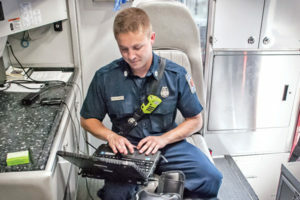 AT&T has begun marketing the FirstNet to first responders in Ohio on its existing broadband network while it moves forward with the network build out, says Matthew Dagostino, AT&T’s state market manager for FirstNet in Ohio and three other states. Besides the dedicated network space, FirstNet will support an eco-system of new public safety specific devices and mobile applications for first responders, he says. One example is the recently introduced Samsung Galaxy S9/S9+ smartphone, which has built-in access to FirstNet as well as other features aimed at first responders. Dagostino says the specifics of costs for first responders to access the FirstNet system is still being worked out. “We’re working with the state of Ohio on updating the existing government contract vehicles that all first responders purchase off of to insure they are competitively priced solutions,” he says.